Are the ones with the inlay a more expensive model or something? No no no! The 1980-81 FLG models, generally considered the best of the best, did not have any logo ("Les Paul" or "Super Grade"). The "Super Grade" logo appeared on those same guitars in '82, after which Burny expanded their LP line a bit. Sometime much later, they issued some models again without the logo... like this one which is, I think, a Slash model... someone correct me if I'm wrong. 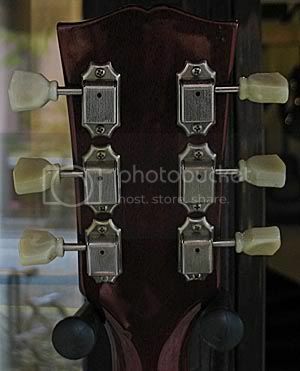 Burny started to have "Super Grade" on the headstock since 1981. It has the flower, because it's mine. It's not a Les Paul model, it's a RSA model (ES-335 model), that's why the headstock is different. But there are 335s without the "flower" as well! How do they differ from the ones with the "flower"? They are chinese models, mine is a vintage japanese model. 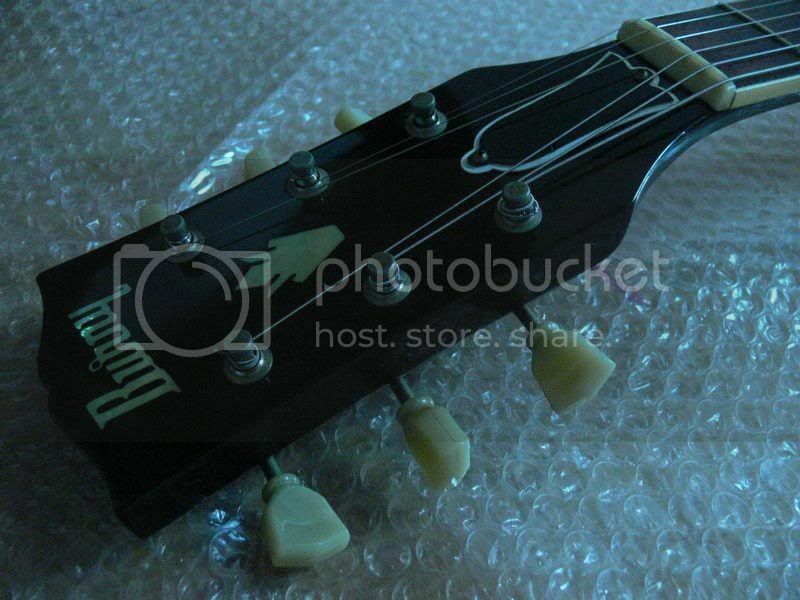 The picture you have put on your previous message is the headstock of mine, where did you find it ? 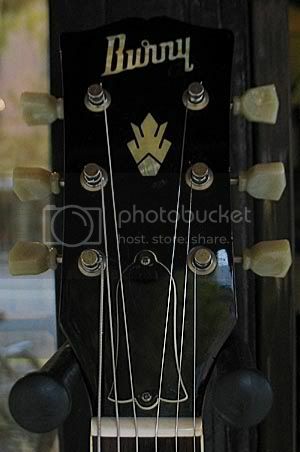 Regarding the picture of the headstock of your guitar, I found it in a post on this site. You're right. I stand corrected... it was just 1980 with no Super Grade logo... per the catalogs anyway. The Chinese models are the ones with the 3 screw TRC that looks like a big leaf. 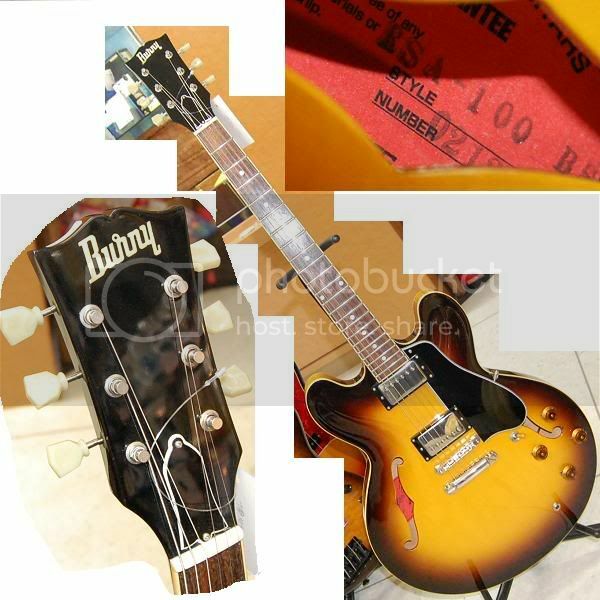 So there are Japanese vintage 335 Burnys without the "flower inlay" then? 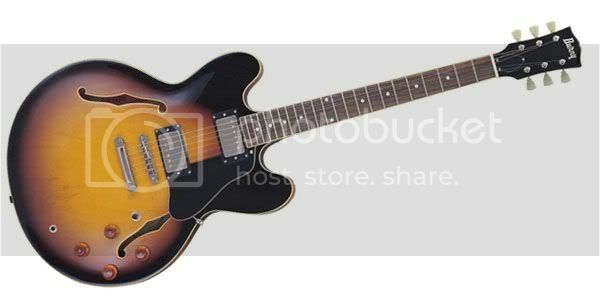 You started you post about Burny guitars in general..... now it's 335's without the emblem? Which is it? My initial question was about Burnys in general, but I?ve now realised that the headstocks are different from model to model. 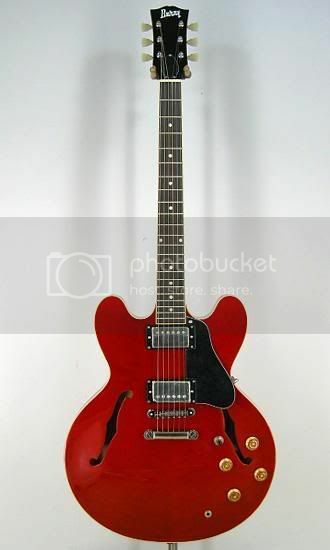 Did the Japanese 80?s early 90?s 335s ever come without the emblem on the headstock? Yes, they have a split flower. Did they ever come without the split flower with only "Burny" on them? I need to know before I dare to buy anything. We've all found that while it's possible to definitively say yes they do or no they don't, there are always exceptions to the rule - custom runs, one off guitars, etc. I'd advise that if you find something you are considering buying, post pics here for review and comment. I?ve been testing this guitar and I have no doubts about this one. The seller says that it has VH-1 PUs and that it must have been made before -86. The problem is that neither me nor this seller have seen the guitar IRL yet as it is shipping from Japan right now. 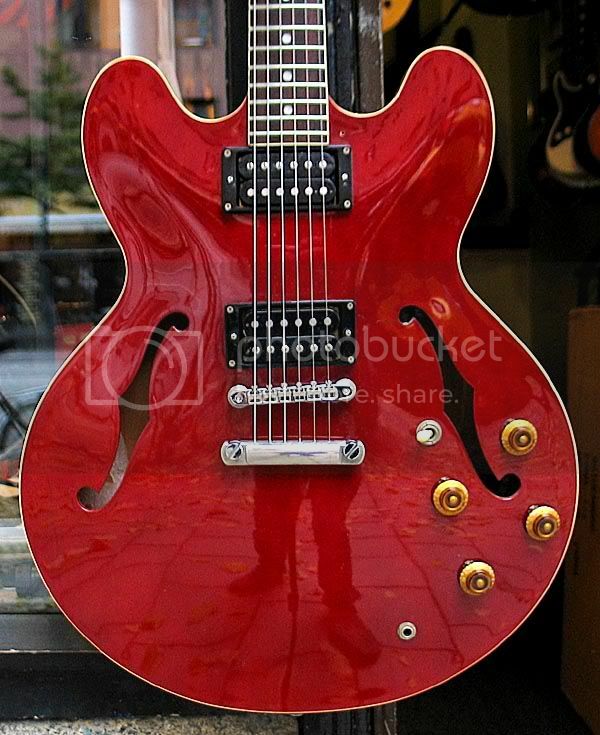 I have no reason not to trust the seller (I?ve bought guitars from him before) but I might loose the red one above while waiting for this one. Not something I?d expect from a higher model vintage Japanese guitar.